This La Finesse porcelain door knob will add that special touch to your furniture. It can be installed quickly and easily and it is an inexpensive way of totally changing the appearance of a commode or cabinet. 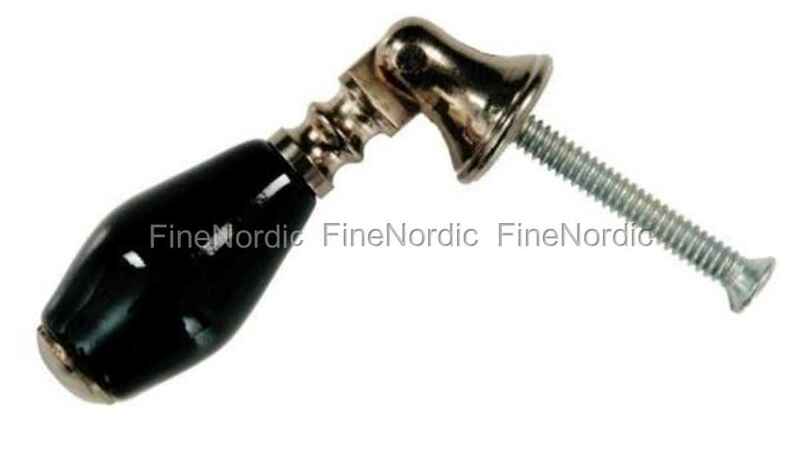 The black part of the knob is a nice contrast to its silvery part and it will look great on a black piece of furniture. Once it’s attached, the knob protrudes 5,5 cm and it’ll make it easy to open or close the door. This porcelain door knob from La Finesse is also available in white in our web shop.